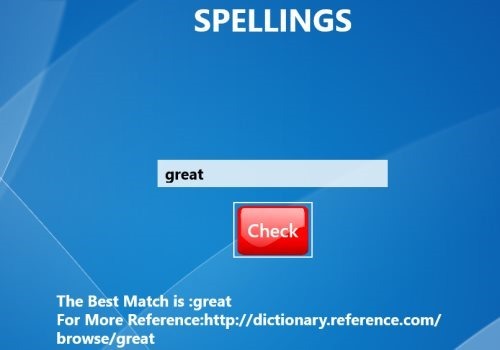 Spellings is a good utility spelling Windows 8 app that lets you input the word that you want to check and brings you the closest match of the wrongly entered word. Also, it gets you a reference of a website where you can find more info about that word. All you need to do is just input the spelling in the check box and click on ‘Check’. It will take a couple of seconds to get you the result. You will get the result as “The Best Match is: ___” along with the website that you need to login, in order to know more about the word. Simple as that. It’s a good utility Windows 8 spelling app that is a must for students, writers, or anyone. Go ahead and download Spellings app in Windows 8 now. The main purpose of designing Spelling Practice app is that you can improve you spelling skills. The app comes with around 2000 popular English words arranged in order of difficulty by the length of the words. It announce the word and shows the letters that create that word. You need to listen to the word carefully and click on the letters one-by-one to create that word. Once you are done with one, swipe towards the left and get another to solve. It speaks out the word for you after you complete typing it correctly and this way you can also learn the pronunciation of those selected popular words. 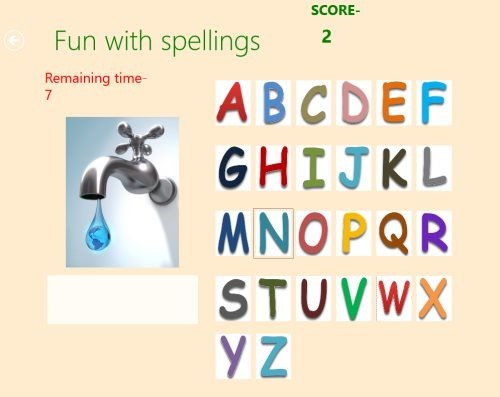 This Windows 8 spelling app is well suitable for common entrance tests such as GMAT, GRE, TOEFL, SAT, and the like. It’s extremely useful.. thumbs up for Spelling Practice. 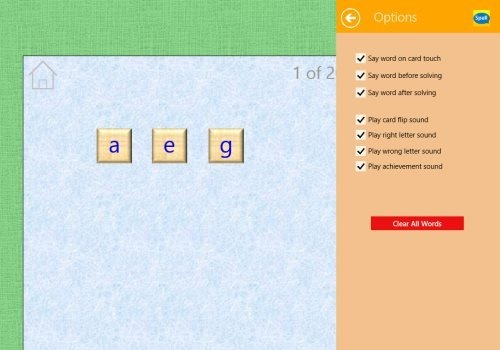 Go ahead and download Spelling Practice app in Windows 8 now. Fun with Spellings has been designed especially for kids wherein you need to see the image and click on the alphabets that make that word, in a given period of time. Yup.. there is a timer that runs while you solve the spelling puzzle. You score will be shown at the top of the screen. Well.. Fun with Spellings is an interesting app that let you kids learn while enjoying solving the puzzle. It’s a must trial app. Go ahead and download Fun with Spellings app in Windows 8 now.